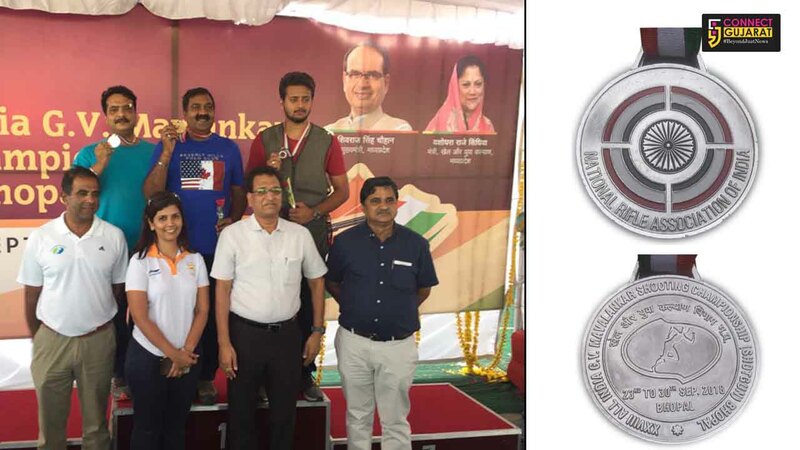 Ishwar Singh of Savli Taluka Rifle Association won Silver Medal at the 28th All India G.V. Mavlankar Shooting Competition in the Double Trap (NR) Men Individual Category, held at Bhopal from 23rd to the 30th of September, 2018. His score was 44/60 and missed the Gold Medal by 1 point, which went at a score of 45/60. Ishwar Singh represented Gujarat state through the Vadodara District Rifle Association. Double trap is an Olympic game wherein two clay discs fly in unknown angles away from the shooter. The shooter has approximately 1.5 seconds to aim and shoot down both discs. The first time this game received the nation’s attention was when present Union Sports Minister, Col. Rajyavardhan Singh Rathore won India’s first ever Silver medal at the Olympic Games in Athens in 2004.